Derek has 32 years experience as a therapist and practises Traditional Acupuncture and also Alexander Technique. 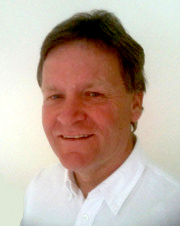 Derek has a BSc Hons Degree in Acupuncture and is a member of the British Acupuncture Council (BAcC). He studied at the College of Integrated Chinese Medicine, Reading and uses both Traditional Chinese Medicine (TCM) and 5 Elements styles of acupuncture at clinics in Brentwood, Chelmsford and Leigh on Sea. He is fully vetted, insured and undertakes regular further training as part of his Continuing Professional Development (CPD). In addition Derek is a volunteer Acupuncturist at a Hospice in London and worked for 2 years at an Addictions clinic in Essex. 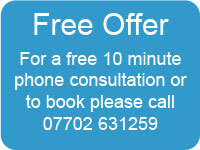 Derek has post graduate training in Acupuncture for Fertility and Gynaecology. He is a recommended Acupuncturist with the Herts and Essex Fertility Centre and has represented the British Acupuncture Council (BAcC) at The Fertility Show, Olympia. He also has done additional training ranging from supporting those undergoing or who have undergone chemotherapy and treating its side-effects, to musculo-skeletal problems and those affected by stroke. Derek is a registered acupuncturist with British Association of Performing Arts Medicine (BAPAM), Dance UK, BackCare and most health insurance providers.